According to the just released Manufacturing ISM® Report On Business® “No industry reported a decrease in PMI® in May compared to April. Economic activity in the manufacturing sector expanded in May, and the overall economy grew for the 109th consecutive month; the May PMI® registered 58.7 percent, an increase of 1.4 percentage points from the April reading of 57.3 percent.” – Timothy R. Fiore, CPSM, C.P.M., Chair of the Institute for Supply Management® (ISM®) Manufacturing Business Survey Committee. 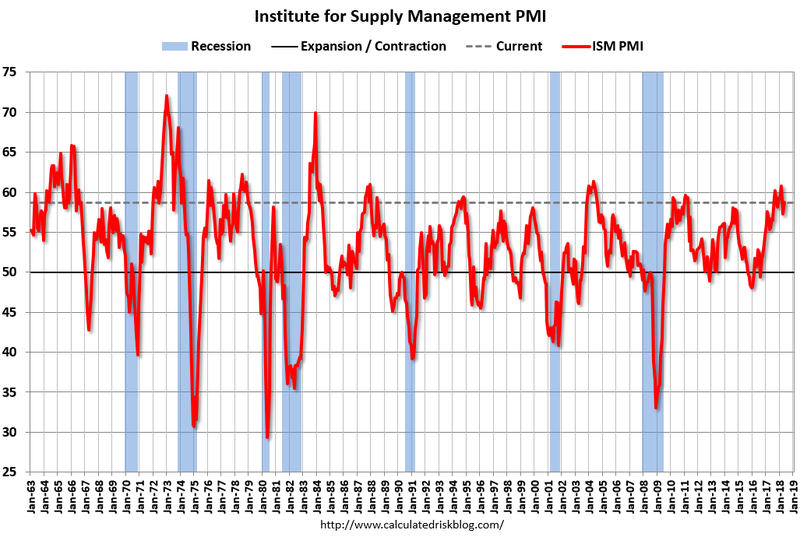 The May PMI® registered 58.7 percent, an increase of 1.4 percentage points from the April reading of 57.3 percent. The New Orders Index registered 63.7 percent, an increase of 2.5 percentage points from the April reading of 61.2 percent. Demand remains strong, with the New Orders Index at 60 or above for the 13th straight month, and the Customers’ Inventories Index remaining at very low levels. The Backlog of Orders Index continued expanding, with its highest reading since April 2004, when it registered 66.5 percent. Consumption, described as production and employment, continues to expand in the face of labor shortages, skill shortages and both price and supply uncertainty on necessary material inputs, primarily driven by the Section 232 Tariffs. Just as the national anthem is a sign that the ball game is about to start, this ISM report is our signal that we need to start having price increase discussions with our customers. The tariffs are here, and our inputs are all increasingly difficult to obtain and expensive. This entry was posted on Friday, June 1st, 2018 at 12:08 pm and is filed under Uncategorized. You can follow any responses to this entry through the RSS 2.0 feed. You can leave a response, or trackback from your own site.